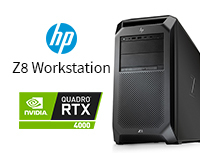 Lease a HP Z8 Workstation Fitted with RTX 4000 for GPU Accelerated Ray Tracing. The HP Z8 WorkStation comes loaded with the 8 Core Xeon Silver providing efficient performance at low power and 32GB RAM as standard. 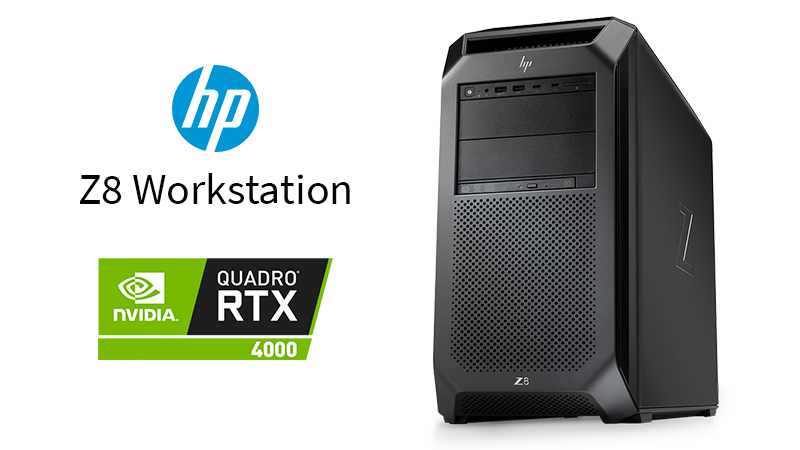 This processor is accompanied by the NVIDIA GeForce Quadro RTX 4000 powered by Turing GPU Architecture with deep learning and advanced shadows. This Graphics card offers the holy grail of rendering with GPU Accelerated Ray Tracing for tracing individual light rays as they bounce off multiple surfaces, beautifully recreating reflections. Leasing the Z8 with the options that suit your workflow demands from HardSoft gives you everything you need. Combine that with our flexible finance solutions, which include 3 years warranty and technical support, you have the perfect solution for your business.